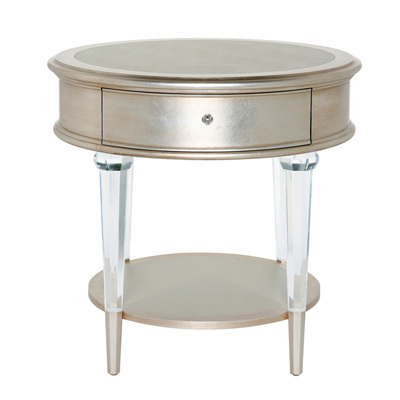 Handcrafted table with Lucite legs, white gold leaf finish and leather inset top. Custom sizes, finishes and inset options available. 9 sq. ft. c.o.l. required for inset top.